It often happens that one adventure triggers the next. 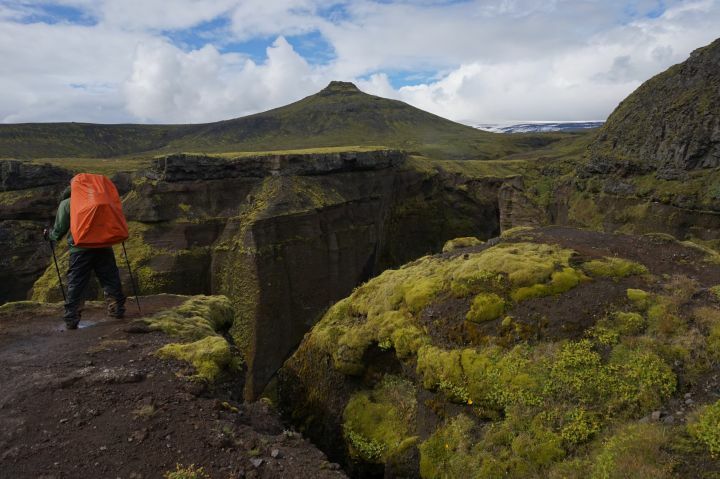 We were hiking the outlandish volcano formations in Westman Islands, Iceland, when this lovely Czech-Swedish couple told us about the Skogar to Thorsmork hike, “the best they ever did”. We knew them enough to trust their nature skills and mountain tastes, so we decided to take their euphoria as advice and go do this hike. Turns out… it was the best we ever did as well. 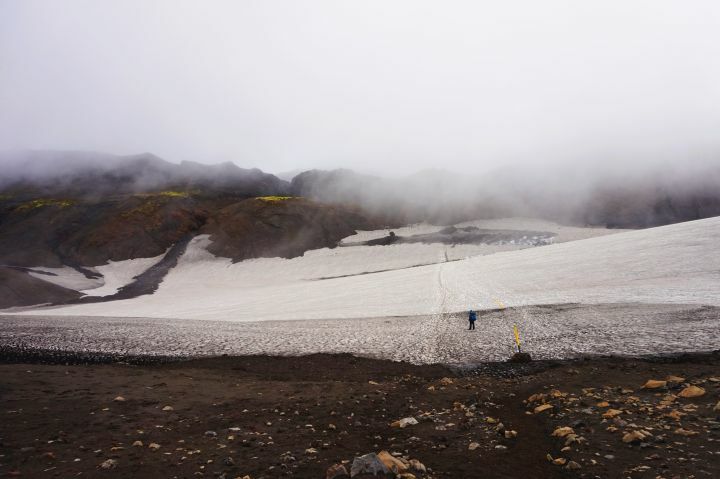 This hike between two massive glaciers takes you through waterfalls, lava sands, snow and newly formed mountains. 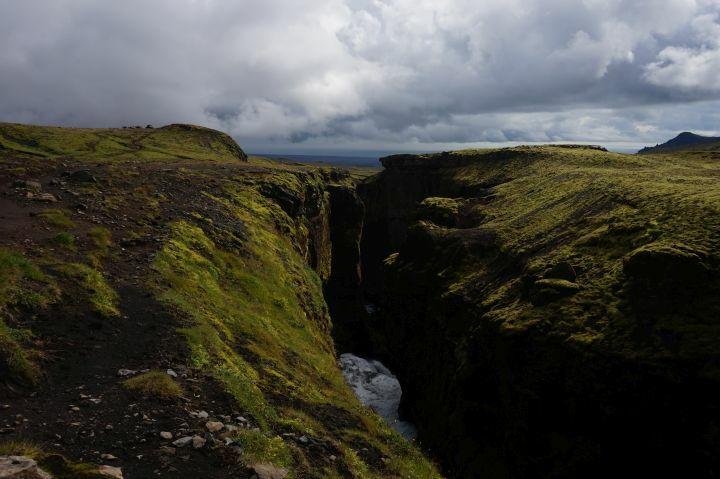 So we couldn’t recommend it more on your next trip to Iceland, especially if you have more than 4 days to spend in the country. Plan the hike during summer months (July and August recommended). 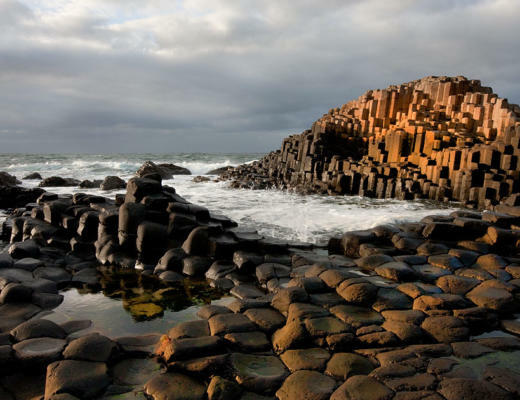 Otherwise, parts of the pathway may be inaccessible or very dangerous. 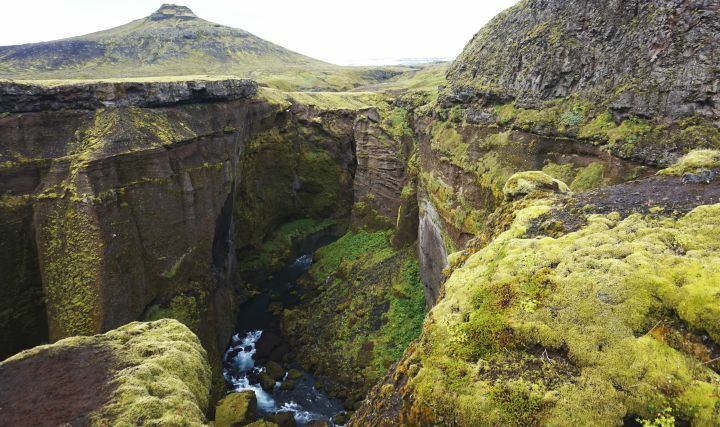 Pack some food or water (food you can get at the supermarket in Vik or Selfoss, it will be expensive if you buy it in the restaurant in Skogar; water is safe to drink from any tap, so just get a bottle and fill at your accommodation or in a restaurant). 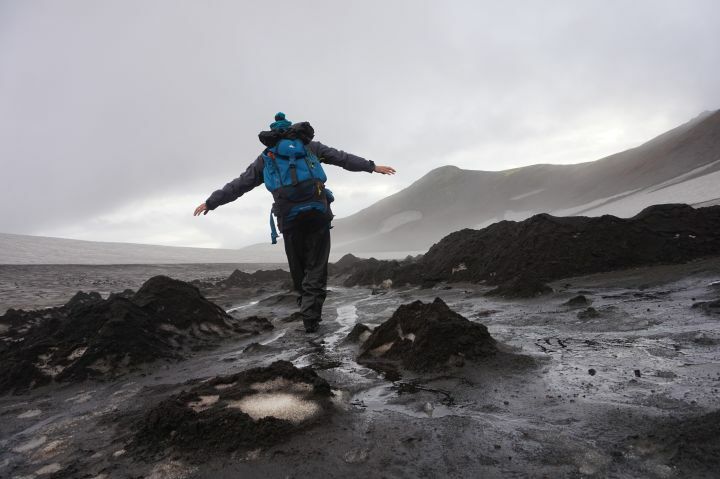 Dress in layers: T-shirt, fleece, weather-proof jacket and pants, good boots, buff, sun glasses, hat, trekking poles. The weather can alternate a lot along the way, so you should be prepared for the cold (there will be patches of snow along the way, even in August), but for the powerful sun as well. We had 2 hours in a T-shirt, but also got rained on, so we wore everything we had. Decide weather to do the hike in one or two days. 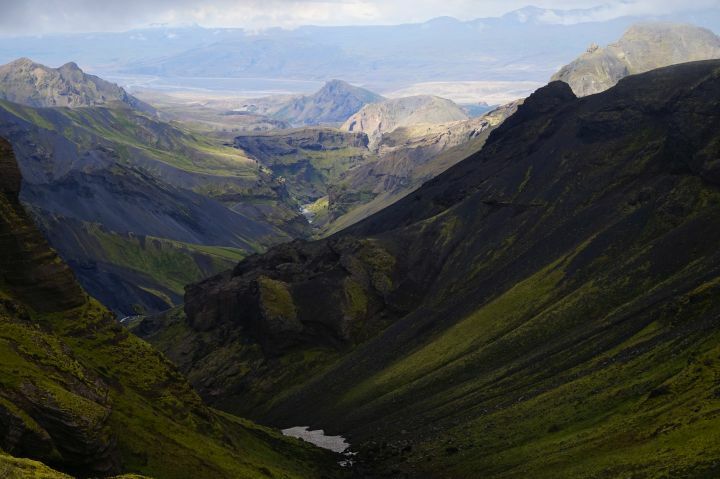 Our recommendation is to take the time and enjoy this south-Icelandic scenery. 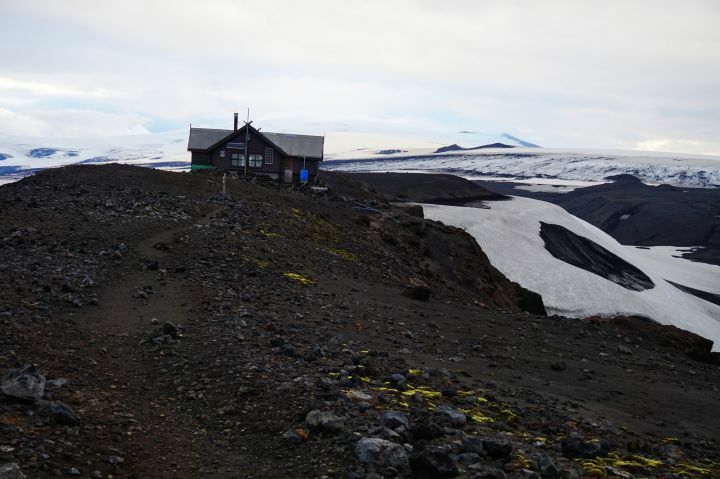 We split the hike in two days and slept in Fimmvörðuháls cottage (a mesmerizing retreat, we will talk about this later in the post). It was the best option, since we also wanted to stop in key places and take photos. But you can also do the trip in one day, some say even 6 hours. We believe 10-12 hours is a more realistic time, especially if you are not a professional hiker. If you do decide to sleep at the hut, be sure to call and book with at least one month in advance. Don’t believe all the scary stuff they say on the Internet. The hike is challenging (definitely not for complete beginners), but very doable. “Cat Spine” is easy to cross. 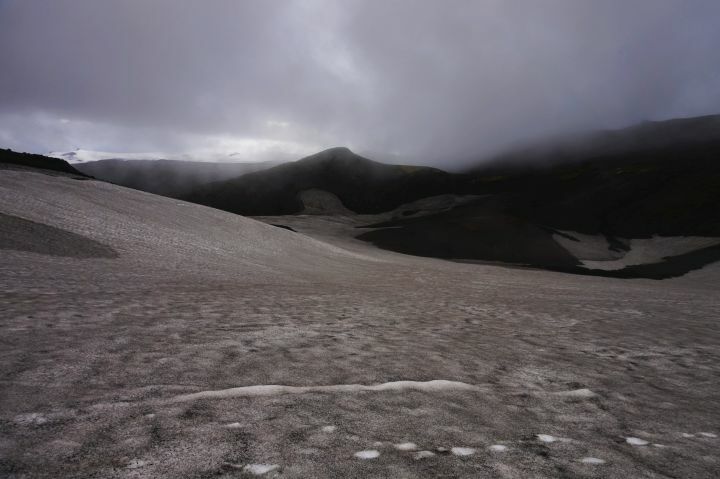 There is only one difficult part, which is on the descend from Fimmvörðuháls to Thorsmork. This can be tricky; we recommend hiking sticks and/or a good hiking partner to hold hands with (valid also for the sections with chains). 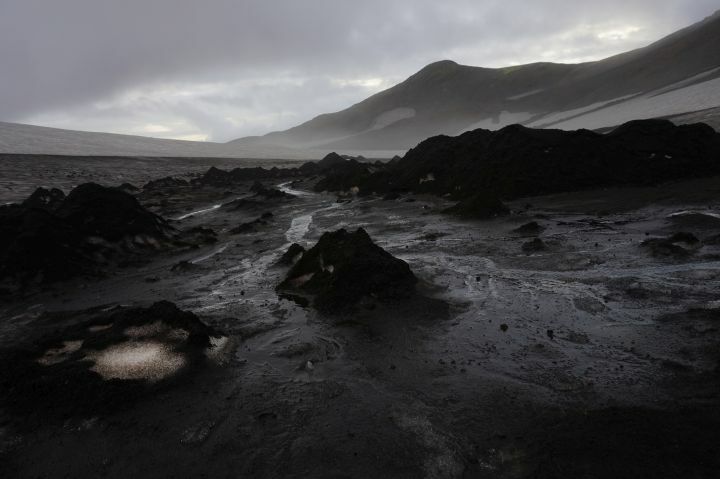 From Throsmork back to N1 (the main route surrounding Iceland), the road crosses rivers, sometimes deep. So you need a good 4×4 to get back; another idea is to take the bus, which leaves Thorsmork at around 3 p.m. This means you have to wake up very early to start the hike. 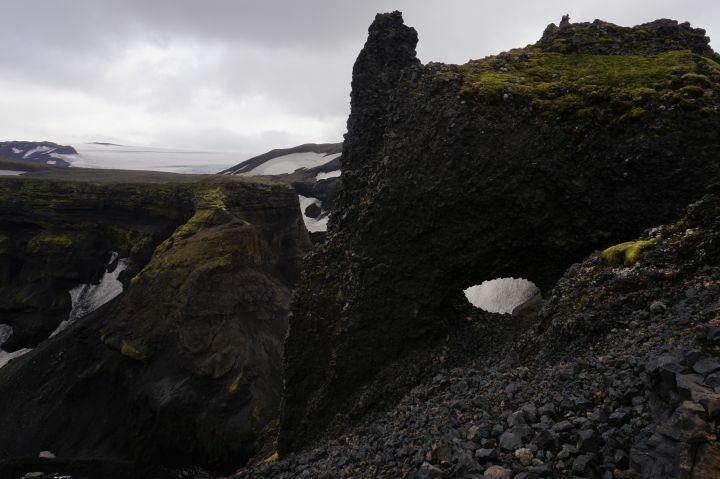 We did it in the most irresponsible way possible: we got to Throsmork at around 6 p.m. and hitchhiked further south to Vik. 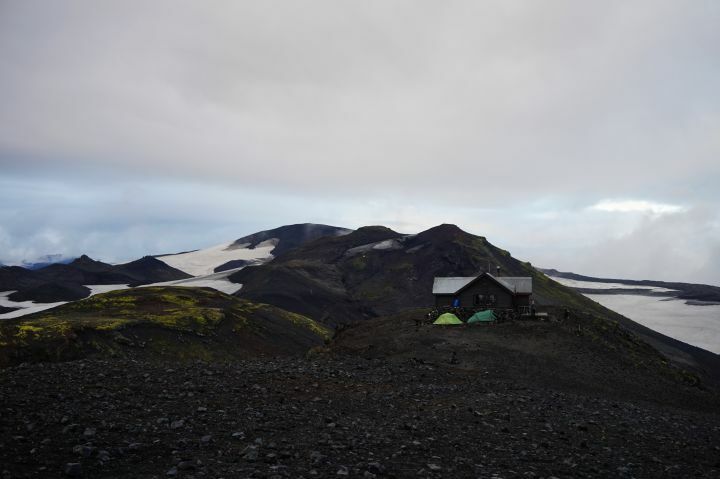 If you have time and a tent you can sleep in the camping in Basar, which is at the end of the hike, in Thorsmork valley. 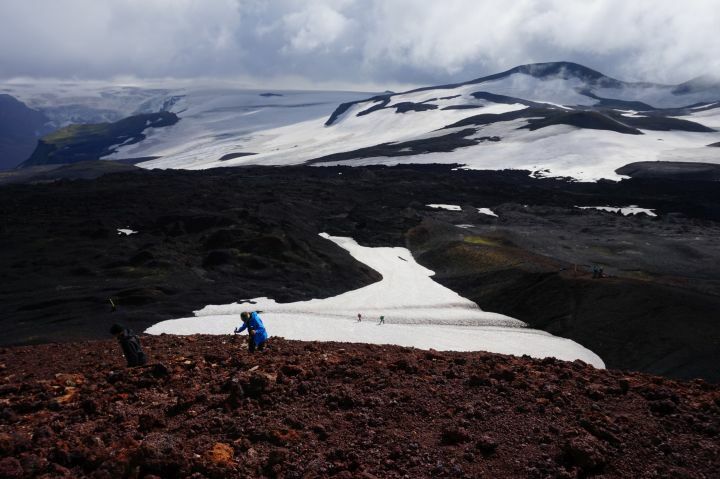 Some also do the hike the other way around (from Thorsmork to Skogar). It is a good option, but to us it seemed easier this way. Charge your camera battery and expect the unexpected. 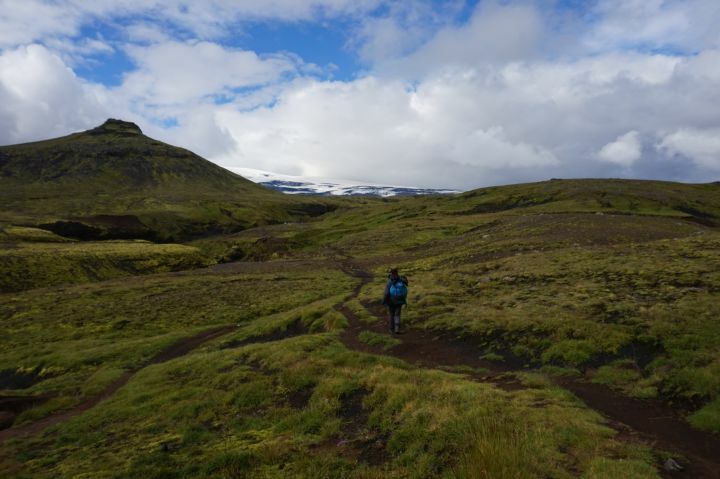 We started our ascent in Skogar, at the base of Skogafoss, one of the most famous waterfalls in Iceland. 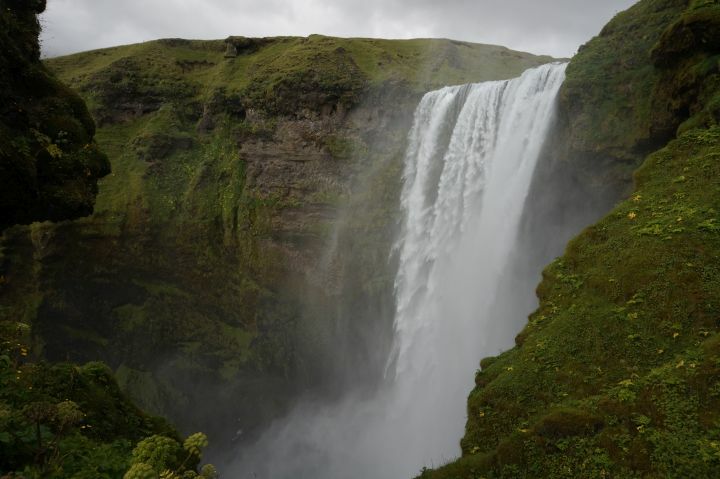 You begin by going up 350 wooden steps, but at the end you have a breathtaking view of the waterfall. After this, the path continues for a while without any major changes of altitude. 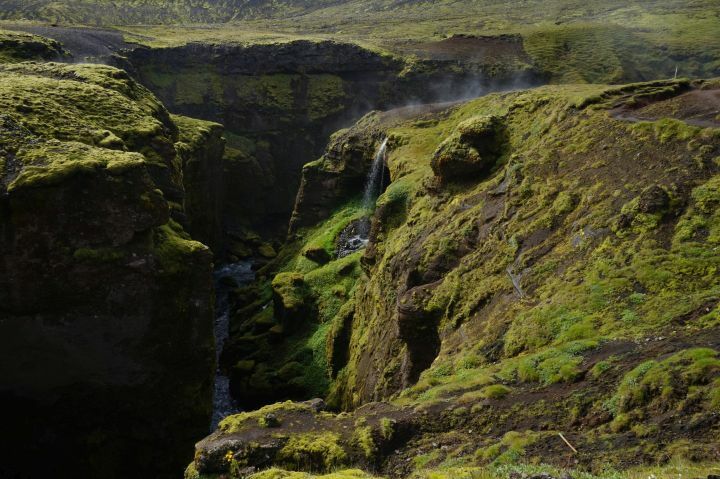 Welcome to the land of the elves, where every one hundred steps reveal a new waterfall. At one point we reached a small wooden bridge and the scenery started to change. 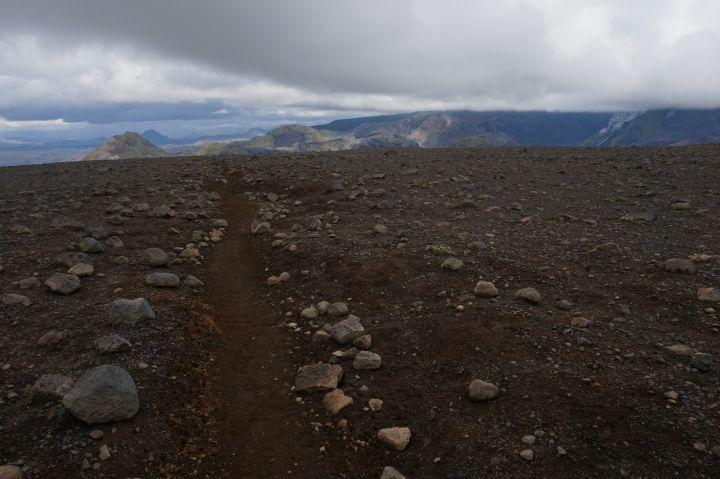 The pathway turned into what seemed to be a road (only accessible by those Icelandic vehicles with gigantic wheels we assumed), surrounded by dark-colored lava fields. 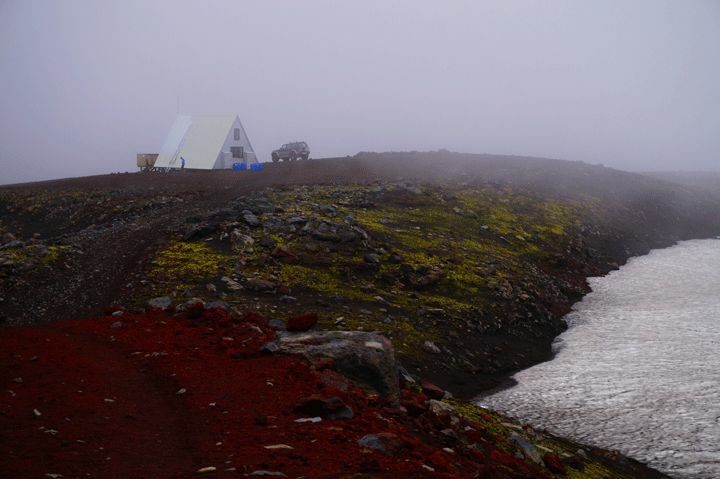 Approximately one hour after leaving the bridge we had another surreal encounter: the small shelter of Baldvinsskali. It emerged from the mist like some sort of extraterrestrial form, making us wonder if this is reality we are perceiving or some strange, alien fantasy. 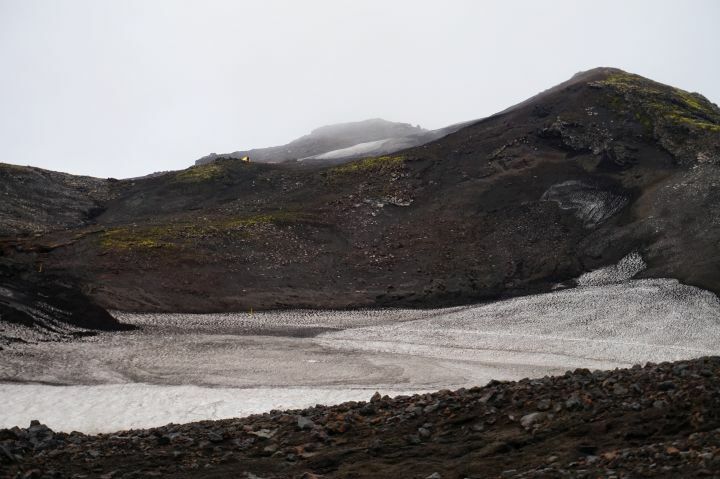 From this first small hut (where we practiced our Icelandic: “Góðan daginn” and asked for water in the cheeriest voice possible), we moved on towards the Fimmvörðuháls pass and cottage. 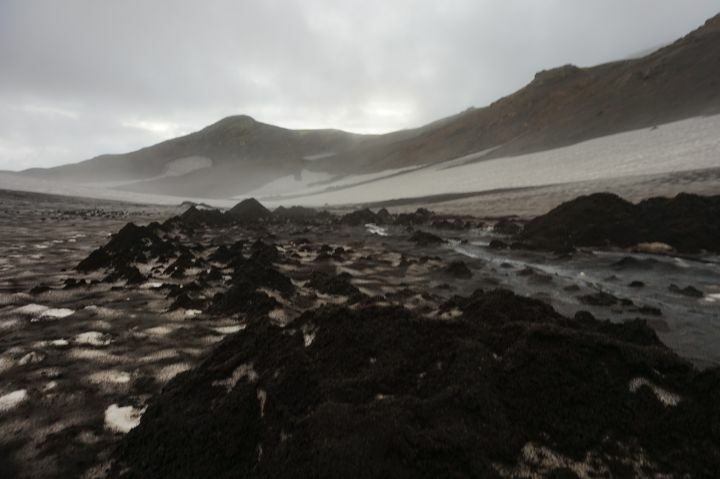 More black lava fields, this time covered by snow. Then hilly formations and more snow. 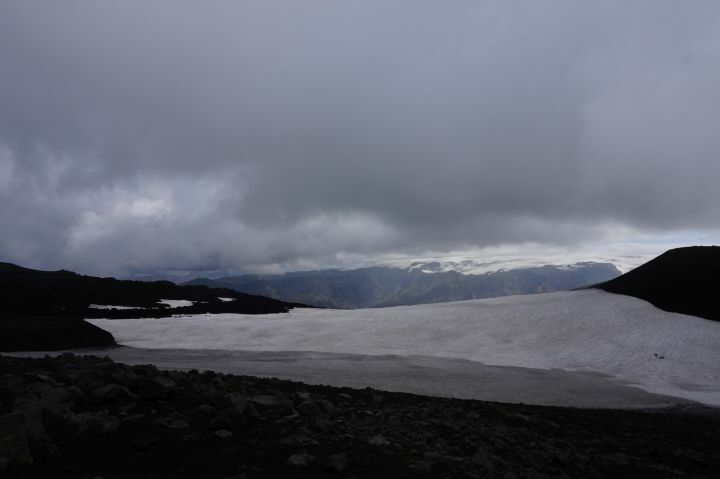 The scenery started being crazy altogether and this in less than three hours since our departure in Skogar! The pathway is well marked and during July and August there are many people doing the hike, so it is easy to ask around for information. Just before Fimmvörðuháls, our accommodation spot for the night, we had another round of texture games. 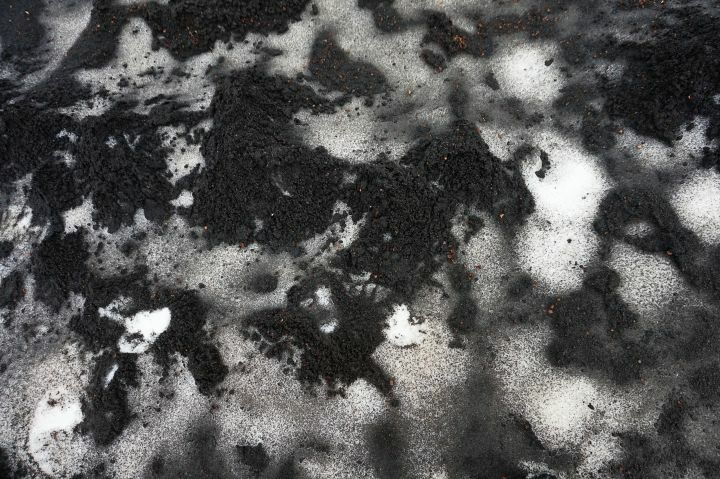 Wind, snow and lava often like to play around and make art. 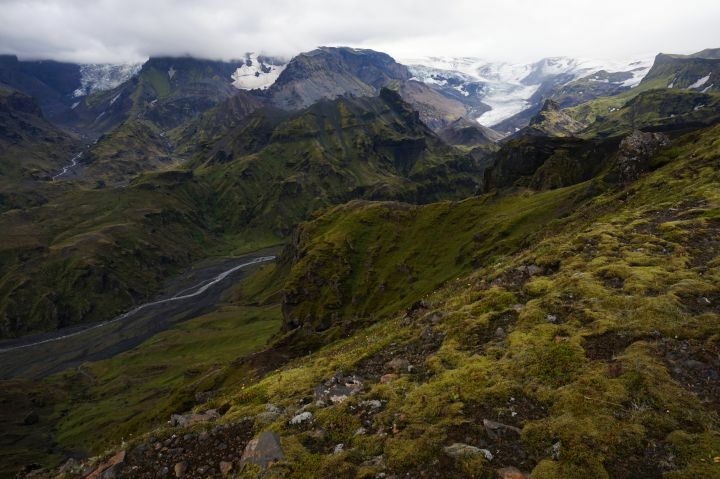 The Fimmvörðuháls cottage is set on top of the mountain, with all this fantastic scenery around it. It is open from June 15 to August 31 and the cost for sleeping there is now 6.500 ISK (around 60 Euros, updated for the season of 2017). It has accommodation for 20 people in one room. 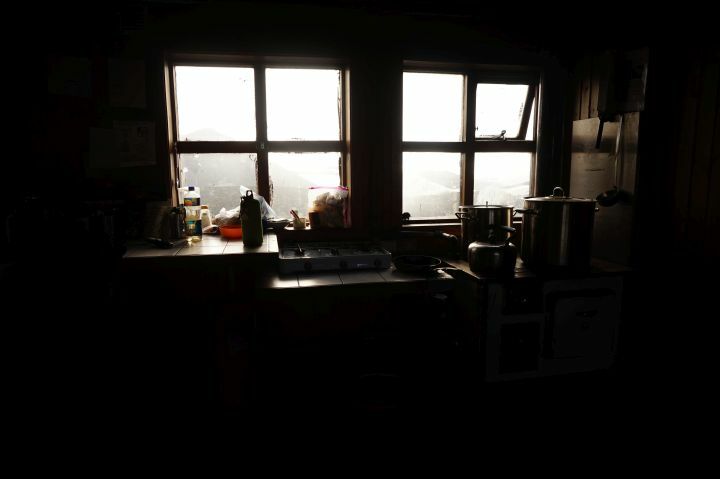 There is also a small stove (where you can warm the ice to have water), kitchenware and a toilet, all very basic. We never thought we would be “eccentric” enough to pay so much for what seemed to be so little. But the night here (spent with a bunch of teenagers from the US talking about who they would like to invite for dinner) was- simply put- charming. There are no words for how it feels like up there. There were two tents camped near the cottage and the people inside said they lasted well through the cold. So this is also an option if you have good camping gear. 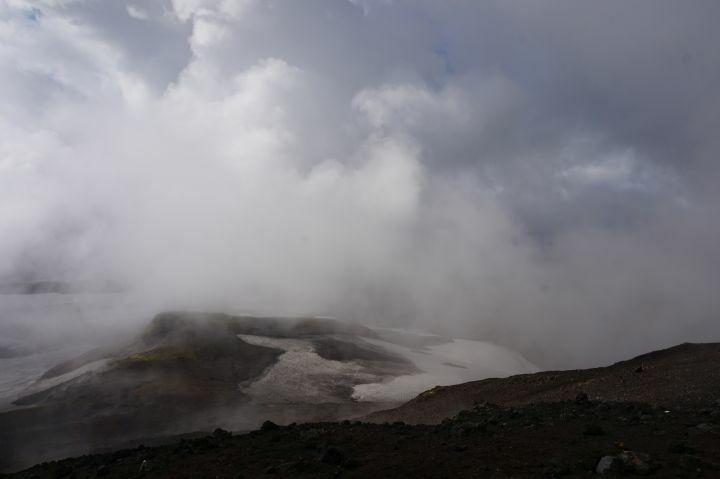 We started our second day with more inviting weather, in a scenery that was still unworldly… but in a different way. 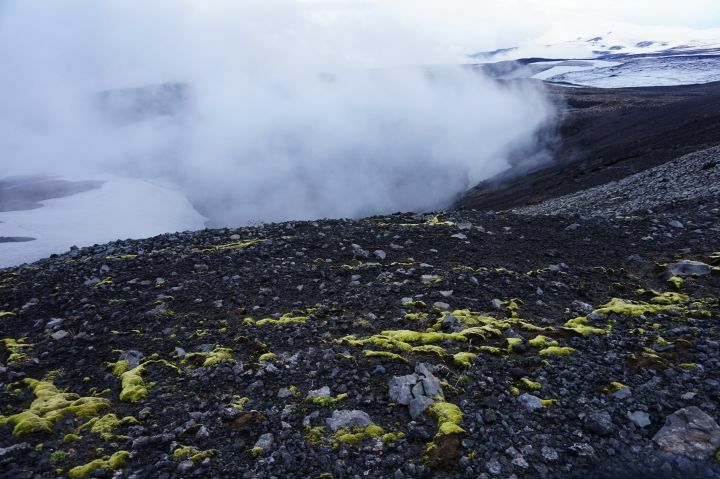 We were being slowly introduced to Magni and Modi, two craters/new mountains formed in the Eyjafjallajokull volcanic eruption in 2010. 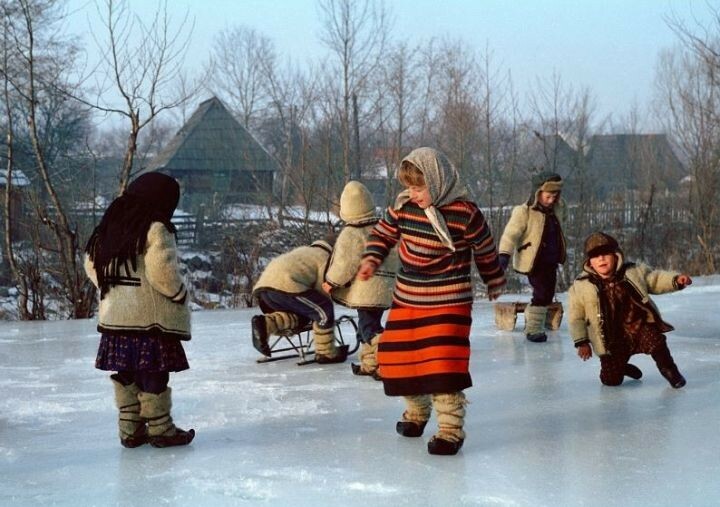 The contrast between the snow, crazy-blue sky and their brownish color was quite a sight. 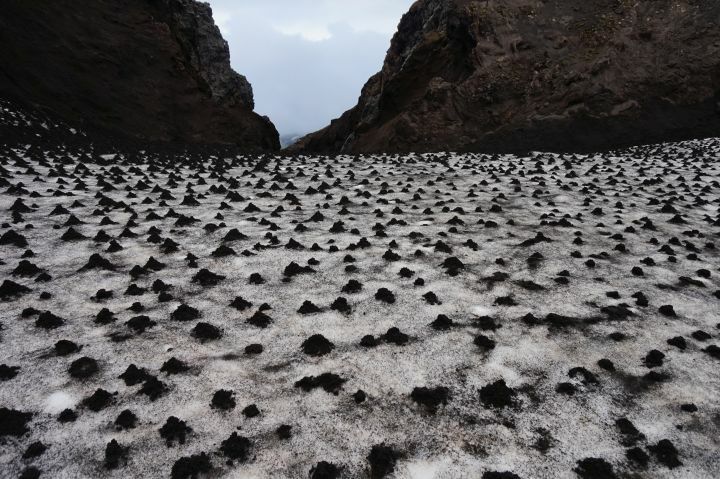 These new land-forms (which few stepped on before) are located in between the Eyjafjallajokull and Mýrdalsjökull glaciers. 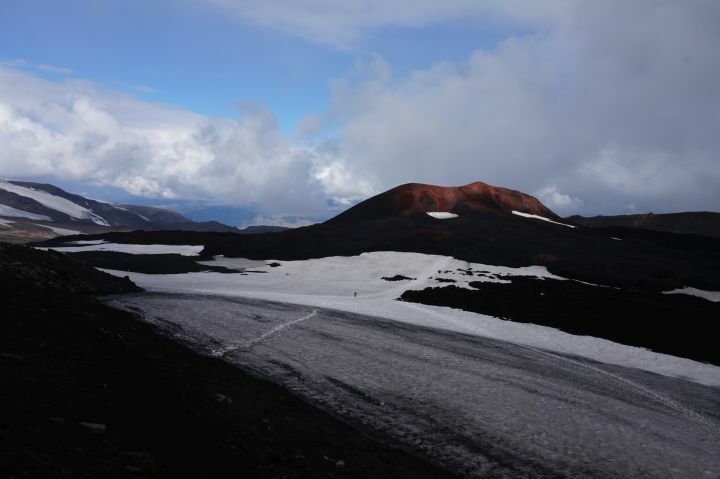 Their ice caps appear and disappear along the way, which adds up to the spectacle of the hike. 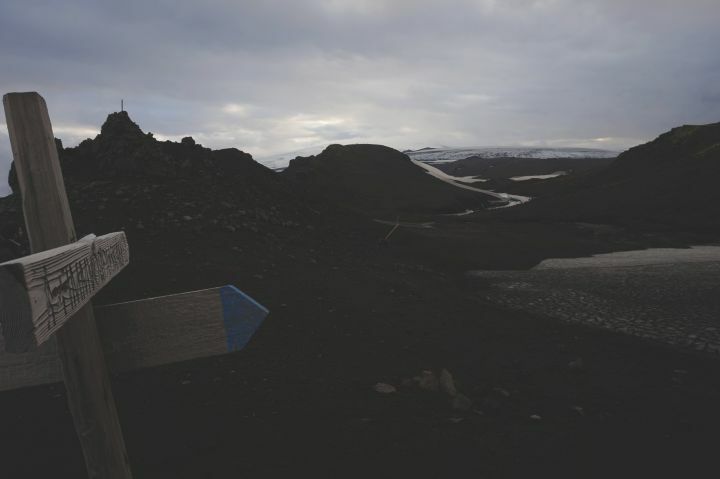 As if so many changes of landscape were not enough, from here on we reached Goðaland, another fantastic part of the track. The scenery turned green again and more surprises came our way…as we were going their way. When you’re in a place like this communication happens only through interjections. 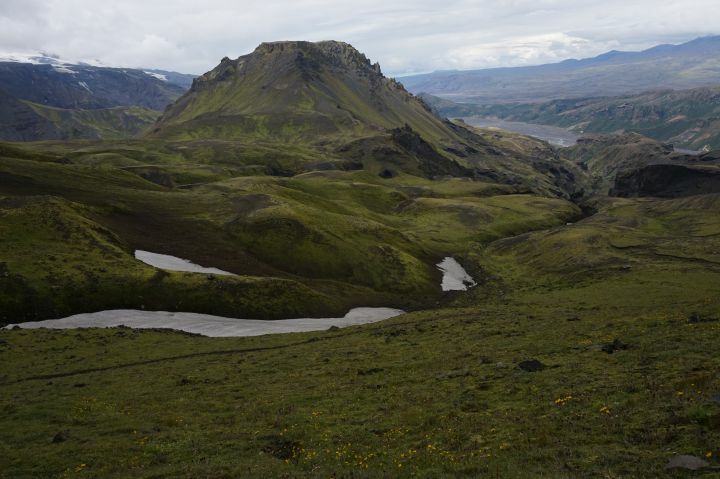 When reaching Thorsmork Valley, our vocabulary was reduced to “wow!” and “oa!”. The last part of the hike is fairly easy. For us, having richer vegetation on the way and a warm sun to guide us was a delight. From the valley we managed to get a good ride back to civilization, with a middle-aged Icelander who had done the entire trek on top of! an electric bike. It was the perfect, round ending to this trip, which now sits very high on our memory stack. 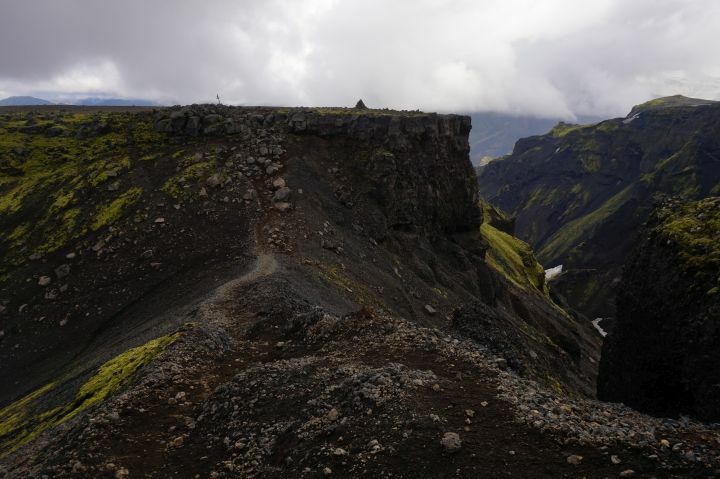 after, in Thorsmork, you can camp at Basar or take the bus back to Skogar, or further to Vik, where there are many accommodation options.